When traveling, I am often reminded that the world is a huge and grand place, so big my mind cannot truly comprehend its magnitude. I represent just a mere spec of sand floating in the turquoise sea. This reminder encourages me to see more of the world and to discover the hidden treasures waiting for my arrival. My favorite and most memorable spots are often the places few people visit. I look forward to finding more hidden gems. This entry was posted in Canada, Nova Scotia by Turquoise Compass. Bookmark the permalink. Often I think about it too, there is so much in the world to be seen. So many things we can`t even imagine,different cultures, different lifestyles! It is really great to have the opportunity to travel around and see it with our own eyes! Great picture! I know, I feel the same way! I’m amazed every day by the wonders I see when I am traveling. Sometimes I am speechless! I bet you often feel the same way! May I ask how you ended up in this gorgeous place? 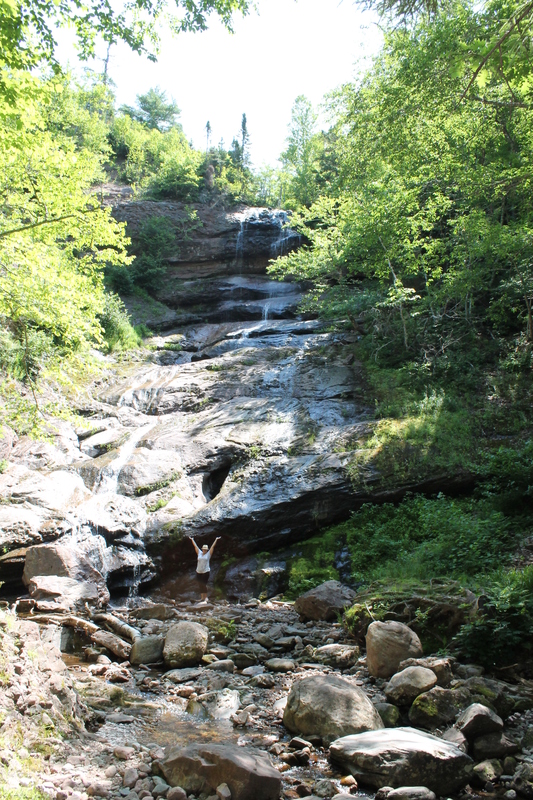 We found this stunning place while hiking in the Cape Breton Highlands National Park.